Listed below are Jewellery & watches items for you to car boot sale online here that you will find available in Birmingham. If you cannot find the Jewellery & watches items that you are looking for in Birmingham you can add your wanted item to let sellers contact you if they have any Jewellery & watches items available for you. You can keep your contact information confidential. Enter only an email address in your car boot sale ad to receive offers into your account on our system. We will remind you automatically when new offers arrive for you. To offer your items for sale on this online car boot sale in Birmingham simply click Post free ads for Jewellery & watches link below or the button Post free ad in top right corner of this page. It is fast, easy and free to post an ad in 2lazy2boot. It will take you just few minutes to have the ad seen on our listings. You can then edit your ads any time by clicking “Member area" button on top right corner of this page. If you have any Second Hand Jewellery you can easily turns it into cash at Cashline Pawnbrokers which is the leading quick cash loan provider in UK. For more information, please visit us at, http://www.cashlinepawnbrokers.co.uk/buy-pre-owned-jewellery or contact us at +44 (0) 121 525 8133, info@cashlinepawnbrokers. Cashline Pawnbrokers is a leading jewellery store in West Bromwich. You can buy pre owned jewellery from us at a very lovable price. We also offer instant cash loan against precious or gold jewellery. For more information, please visit us at, http://www.cashlinepawnbrokers.co.uk/ or contact us at +44 (0) 121 525 8133, info@cashlinepawnbrokers. 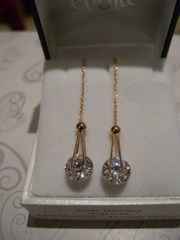 Swarovski Crystal Element earnings. Price: 8.50£ Postage Free Payment Option : 1-Pay pal 2-Bank transfer Boxes shown in pictures not included . Any question drop me a message . 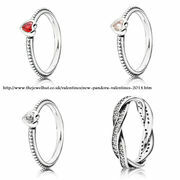 Will post in UK and Europe ..
Make this Valentines Day memorable with Pandora jewellery. Pandora always brings promising collection on each and every special occasion and this time no different. Pandora brings you the collection of amazing rings and many more lovely gifts for you. Elegant Pandora valentines rings like Silver CZ Heart Ring, Silver Synthetic Ruby Heart Ring, Silver Synthetic Pink Sapphire Heart Ring and Silver CZ Braided Ring are best Valentine gift to give to special person in your life. Find great deals on Bridal Necklace Sets, Gold Jewelry set. At Crystal Elegance we specialize in the design, manufacture and sale of crystal based gifts, Bridal & Evening necklace sets & Gold Jewelry set at the right price. For more information visit:-http://www.crystaleleganceuk.co.uk/. Valentine's Day is now just few days away and people have already started the search of gifts for their valentines. Everybody wants to find amazing and unique gift to make this Valentine’s Day very special and unforgettable. The Jewel Hut brings for you stunning collection of Valentine's Day jewellery. The Jewel Hut brings you the way to celebrate the New Year! The Jewel Hut brings you the largest jewellery sale online. 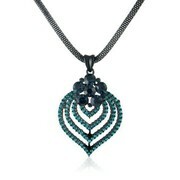 Beautiful and elegant jewellery pieces at reduced offer prices. The store is offering special discount up to 50% in this New Year. Beautiful jewelleries like Thomas Sabo Silver CZ Winged Heart Dropper Earrings at £60. Wedding Ring Direct - The UK's premier supplier of weddings gold rings. We have a wide range of wedding rings at wholesale prices including diamond rings, gold rings, platinum wedding rings, ORDER ON LINE, Offer a 100% money back guarantee. If you are not satisfied with our products. We have over 35 year experience in the jewellery industry. Best and latest designs available in Maliram jewelers. It has been adding the magical sparkle of diamond & gold jewellery to the lives of the jewellery connoisseur for over fifty years. visit www.maliramjewellers.com, User ID : Rnit-184. Well here you go. Good luck with your on line car boot sale in Birmingham. We hope you have some success and find buyers/sellers that you are looking for in Jewellery & watches . Don’ t forget to comment any successes in selling your Jewellery & watches items in Birmingham to our valuation window and report forum! We are sure you will find many people in Birmingham looking for your Jewellery & watches. Birmingham car boot sale. 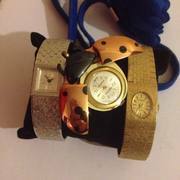 Jewellery & watches for sale ads on online car boot sale in Birmingham, second hand Jewellery & watches for sale in Birmingham, Jewellery & watches ads for free in Birmingham, 2lazy2boot - Birmingham car boot fairs.